Salina (KS), USA – To significantly shorten delivery times for customers of the Americas market, Coperion K-Tron located in Salina, KS USA, is starting the US production of Coperion Germany rotary valves type ZRD in Salina. The Coperion brand rotary valves are being added to the full line of Aerolock™ rotary valves that Coperion K-Tron Salina has manufactured for 60 years and ships to hundreds of customers each year. This joint effort ensures the American made valves will perform to the highest technological and performance standards, for which the German manufactured valves are known. Best of all, this effort, along with a considerable investment of stocked inventory, will allow Coperion to deliver and repair valves for the Americas market with significantly shorter delivery times. In fact, standard grey cast iron and stainless steel ZRD rotary valves will be available to customers within 4 to 6 weeks. An extensive range of sizes is available, with large throughputs ranging from 500 to 400,000 + lb per hour (subject to bulk density and application). The valves have a pressure surge-proof, (pressure shock) rating of 145 psi(g) [10 bar(g)], and are suitable for isolation according to NFPA standards (for select sizes up to 12 inch). The ZRD comes standard with air purged seals completely mounted with plastic or stainless steel tubing, solenoid and filter regulator with gauge. Standard seal option includes the popular T3 PTFE and quad ring assemblies, which eliminate the need for air purge in most applications. In addition, the ZRD comes with a sealed-for-life outboard bearing arrangement, separated from product, with and without purge gas by way of a dedicated relief opening. 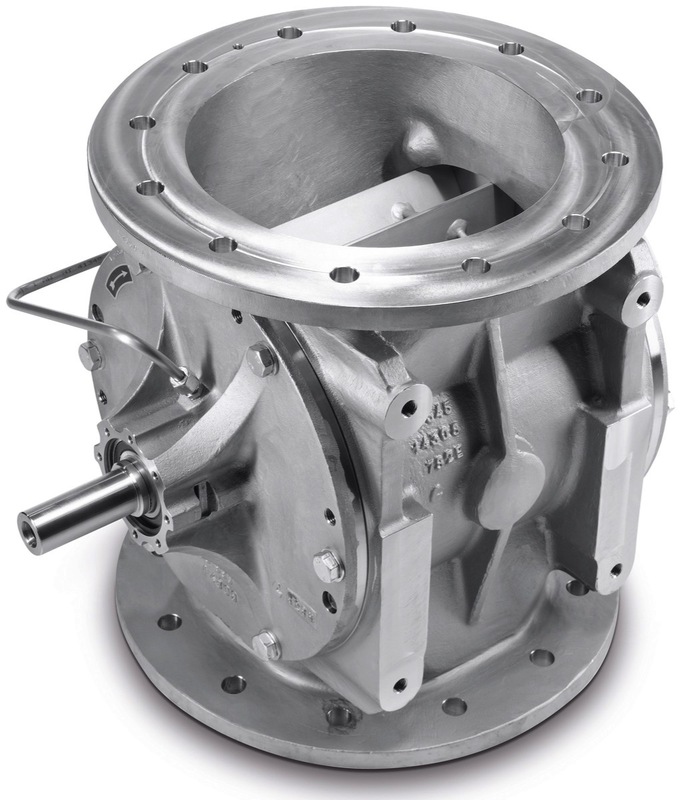 Coperion and Coperion K-Tron will debut the US-manufactured ZRD rotary valve at this year’s ​International Powder and Bulk Solids Conference and Exhibition (April 24-26, 2018, Donald E. Stephens Convention Center, Rosemont, IL / USA) in Booth 1413 and at NPE 2018 (May 7-11, 2018, Orange County Convention Center, Orlando, Florida / USA) Hall West, Hall Level 2, Booth W729.